With EA’s recent announcement against dedicated single-player games, I’ve arrived at a bit of an impasse. I just don’t much care for multiplayer. Don’t get me wrong, I love my Starcrafts, Modern Warfares, and Mario Karts, and have played plenty of each, but gone are the days of Halo LAN parties and Super Smash Brossleepovers. Too often now I just don’t feel up to the Sisyphean task of mastering a new RTS, racer, or flavor-of-the-week multiplayer shooter. It’s just that games are too long already, with plenty of content readily available both physically and digitally. I could pursue that commendation in Reach or level an avatar in RDR that isn’t John Marston, or I could just try something new. The motivation to spend time in multiplayer is so often extrinsic to the single-player experience: I am more often motivated to just start a new game. He compares this to extrinsic motivation, or carrot-and-stick motivational models. These he urges with evidentiary support are effective only when the solution to a problem is within sight. For many of today’s problems, however, where the solution is more often in the periphery, carrot-and-stick motivational models do not encourage solution finding, but in actuality impede the problem-solving process. This is as important to the workplace as it is to game design. I beseech you to argue otherwise: in the competitive multiplayer that is FPS, is defeating an opponent a narrowly defined, solution-in-sight process? Or does it require first the development of skills, dexterity, and wherewithal to effectively thin-slice an encounter, strategize around a situation, an opponent, and their own impetus to win, and effectually exercise one’s own skill set to arrive at the proper solution (and an opponent’s defeat)? Giving the player the extrinsic Achievement, commendation, and win, or lack of these things, no tangible progress forward, and a loss, is not effective in encouraging further play in either single or multiplayer modes to the non-competitive gamer. Any newbie to an online franchise shooter will attest to this. It becomes far easier to move onto something new than it is to tough it out and sharpen one’s skills. There is no active encouragement, no intrinsic motivation to spend congruous time in both modes; there is only the individual’s desire to get better, and whether they are willing to grind along that pursuit. This is where a game like Borderlandstruly shines. Part of the uncommon hybrid that is the role-playing shooter, the folks at Gearbox tied the single and multiplayer experiences of this game into one cohesive package. The single player campaign is successful at creating a compelling experience of shooting, looting, leveling, and custom-tailoring one’s avatar through a traditional quest-based progression structure. 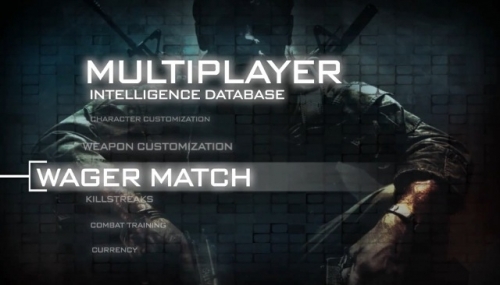 However, the same single player campaign is playable with up to three buddies, thankfully with drop-in-drop-out functionality. With friends and a team, the enemies and loot are scaled in toughness and rarity, respectively, encouraging social play: better loot comes with more players, but so does tougher baddies, fostering both collaboration and camaraderie. If one player falls back a few levels from their friends, they are motivated intrinsically to play on their own to catch-up (or hide in a corner online and let the higher-leveled guys do the shooting). This game is built in such a way that it is intrinsically motivating to play one, play the other, and play both modes. This is in stark juxtaposition to most modern shooters where the multiplayer is wholly extrinsic to the single player experience. The sole carry-over between the two is the player’s developed skill set from one mode to the other. The single player experience in Uncharted 2 or Red Dead Redemptionis a disparately robust experience from the perhaps less robust multiplayer experiences of these games. Each title carries two distinct games, where play in one is little related to play in the other. It’s a great way to expand replay value, and nigh critical for shooters, but why is developed skill the only carry-over? If an industry juggernaut like EA thinks multiplayer is critical to the success of modern games, a real opportunity is present for developers to link these disparate experiences so the motivation to leave the franchise and try something new is less than the motivation to carry over progress from one mode to the other. 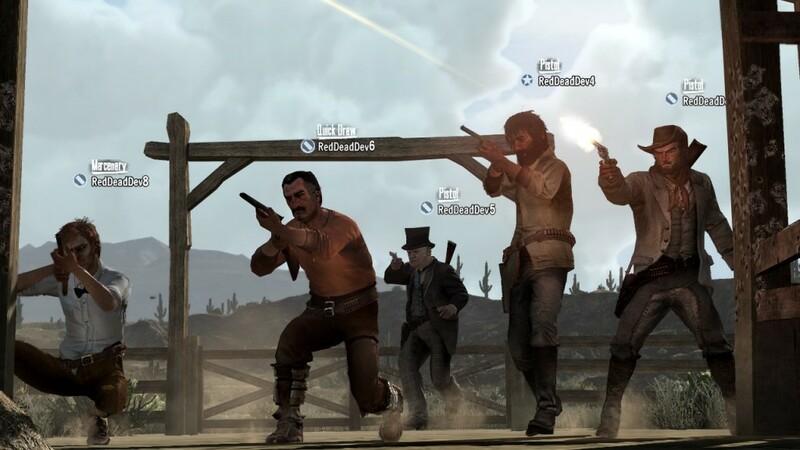 The John Marston developed in single player ought to be the same John Marston the player can bring along online; the same goes for the various and sundry outcomes of the Mass Effect experience were multiplayer added in part 3. Instead, the multiplayer in RDR is completely divorced from the single player experience. The same can be said for just about every shooter out there. Uncharted 2, Assassin’s Creed: Brotherhood, you name it. When it comes to shooters and action-adventure games, it is unmistakable: if the two modes are to be so divorced, why not package them separately? Alongside limited edition packaging, sell the single-player campaign for $20, release the multiplayer for $40, and the two together for the cost of a game now. I’m worried when I hear announcements like this for fear of spending so much money on the sameness of sequels: on Halo 5, Uncharted 7, and Activision’s plans for Call of Duty 38. I am worried of spending so much money on what is ultimately eight hours of single player and a few extra hours online. It seems to me the dirty word in the industry that is “sequel” wouldn’t taste nearly as bittersweet if it didn’t always carry a required $60 price tag. Previous: Battlefield: Bad Company 2: Vietnam: More Colons!